Article: Remarkable Rock Band Ask Jonesy & Co. Released Their Incredible, New Record “AJ&Co, Vol. 1” – Listen Here! The phenomenal, rock band Ask Jonesy & Co. is definitely destined to be a household name! With their stupendous tunes, their out of this world charisma on stage and their unrivaled talents, it’s clear to see why everyone is raving over Ask Jonesy & Co. and proudly calling themselves big fans of this magnificent group. Ask Jonesy & Co. has been leaving everyone in awe with the spectacular music they have shared thus far including their singles “Burning Fire” and “Stings.” Yet again, this stellar band has surpassed expectations with their brand new record they released titled, “AJ&Co, Vol.1.” Needless to say, this record is one that you’re going to be listening to on constant repeat. Ask Jonesy & Co. has brought rock back to this generation and we are endlessly grateful to them for that. “AJ&Co, Vol. 1” showcases Ask Jonesy & Co.’s natural flair for music. You can hear the passion and professionalism in each and every one of the songs. 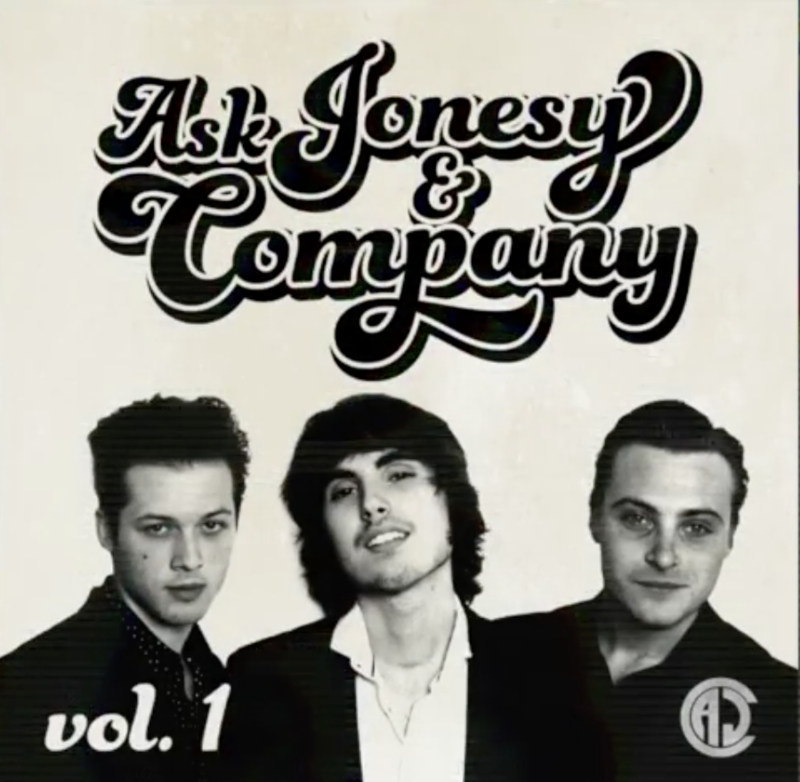 From the exceptional vocals, to the brilliant guitar playing and of course, the extraordinary sound of the drums, everything about Ask Jonesy & Co.’s songs is pure perfection. They always create masterpieces. Ask Jonesy & Co. has such a unique and distinct sound that sets them apart from everyone else. They truly are music sensations. No words can fully describe just how outstanding all of their songs are and “AJ&Co, Vol.1” is a perfect record for you to jam out to and unleash your inner rockstar to all summer long. You can listen to “AJ&Co, Vol.1” out now on all streaming platforms! Be sure to catch Ask Jonesy & Co. at their performance at AMPLYFi in Los Angeles, California on July 7th. You can purchase tickets here. Previous Article: 5 Reasons Why We’re Excited To See Addison Riecke And Annie LeBlanc’s New Show, “A Girl Named Jo” On Brat! Next Article: You Have To See Musician Joe Dias’ Epic Mashup Of The Red Hot Chili Peppers’ Songs – Watch The Cover Here!